Dodgers’ Zack Greinke won’t pitch in Albuquerque. But where will he pitch? The coaches, managers and physicians may know where Zack Greinke is pitching on Wednesday, but it remained a state secret as of Monday afternoon. Greinke will either come off the disabled list to start against the Washington Nationals or make another rehabilitation start, likely for Single-A Rancho Cucamonga, with Matt Magill starting for the Dodgers. We know that Greinke won’t pitch for Triple-A Albuquerque because the Isotopes have Wednesday off. Double-A Chattanooga is a long way from Los Angeles, and the Lookouts are playing on the road in Pensacola, Florida. The Rancho Cucamonga Quakes play at home Wednesday night. Mattingly said he didn’t know where Greinke’s rehab assignment would be if he doesn’t pitch against Washington. Mattingly also said Monday that Mark Ellis (strained right quadriceps) and Jerry Hairston Jr. (groin) might rehab with Chattanooga later this week, since the Dodgers have a three-game series in nearby Atlanta beginning Friday. Greinke could pitch in Pensacola, Florida, then meet the Dodgers the following day in the same time zone. But that seems unlikely. It’s more likely that the Dodgers will keep Greinke in Southern California until the last possible moment so the Nationals have no idea which pitcher they’re facing. There’s a difference between Greinke, a former Cy Young Award winner, and Magill, whose next major-league start will be his fourth. And there’s no incentive for the Dodgers to reveal their starter any earlier than they need to. Greinke and Magill both threw bullpen sessions Monday at Dodger Stadium as they would normally. No clue there. Greinke threw 80 pitches in Rancho Cucamonga on Friday, his first rehab start since fracturing his left clavicle on April 11. “I think his arm strength is going to be good enough” for Greinke to pitch for the Dodgers, Mattingly said. “Just the little worries of covering first running into somebody, hitting, sliding, covering home plate, blocking the plate in some fashion, diving for a bunt — a lot of little things could happen where he lands on his shoulder. 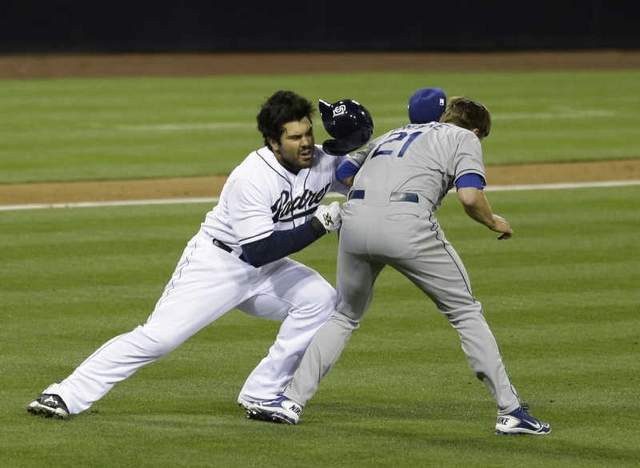 This entry was posted in JP on the Dodgers and tagged Zack Greinke by J.P. Hoornstra. Bookmark the permalink.